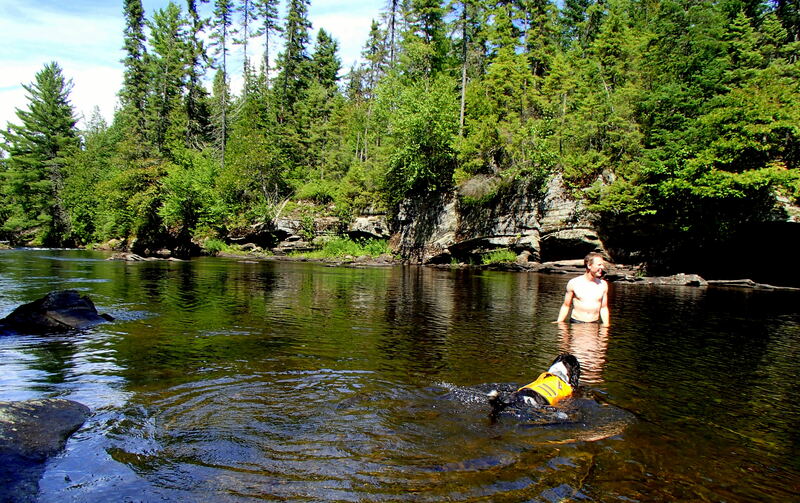 Three hours north of Ottawa, a midst the untamed forests of Quebec, lies a wilderness of dozens (maybe hundreds?) 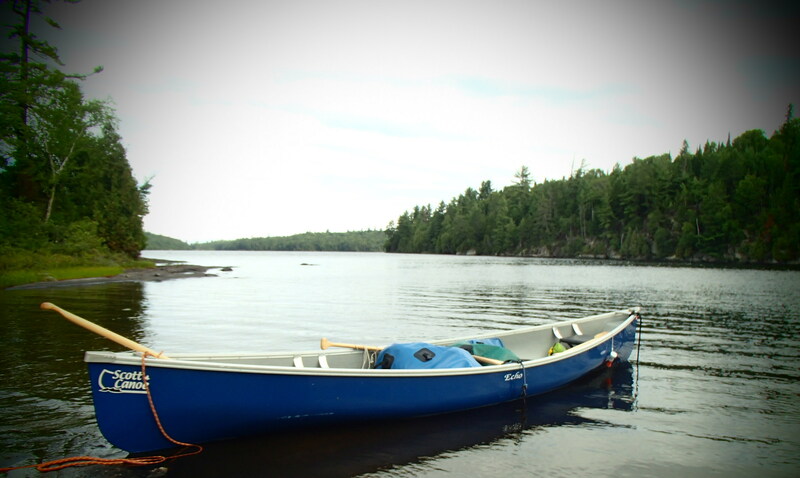 of interconnecting lakes and rivers, surrounded by rocky shores of Canadian shield and dense bush and tall trees. 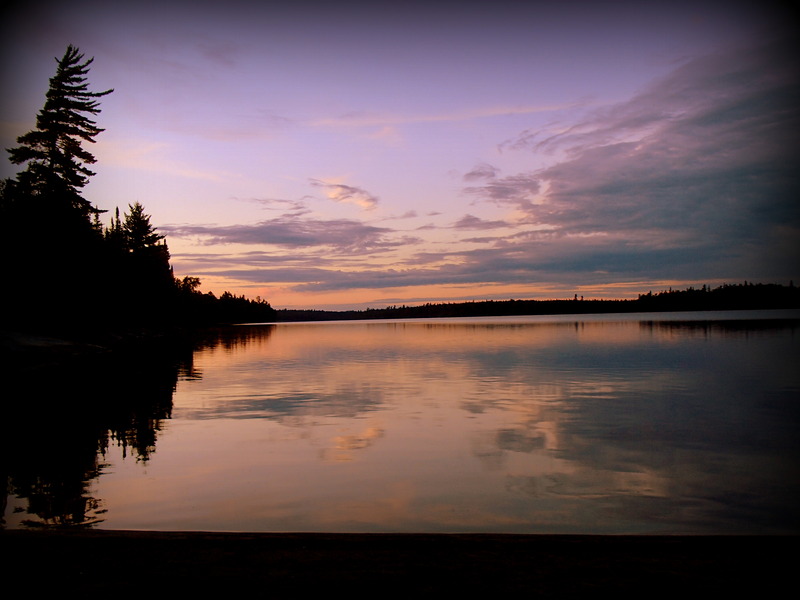 This is La Verendrye and we feel so lucky to have found this beautiful spot so soon after making the move to Ontario. 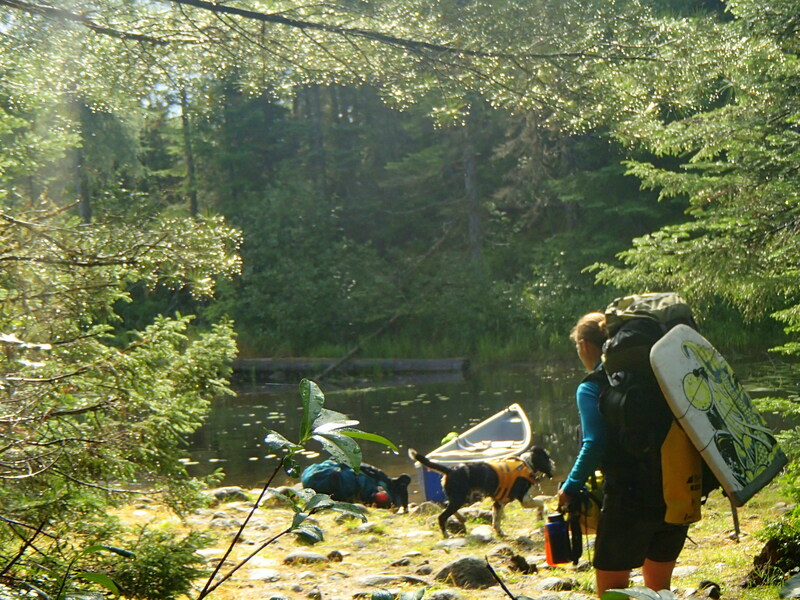 La Verendrye boasts 800km of waterways with 20 mapped out lake and river circuits. This summer, over 2 trips, we tested out a couple of the shorter circuits. We began our first trip around Circuit 11 (Antostagan) with a couple of new friends and their lively mix of 8 other family and friends. 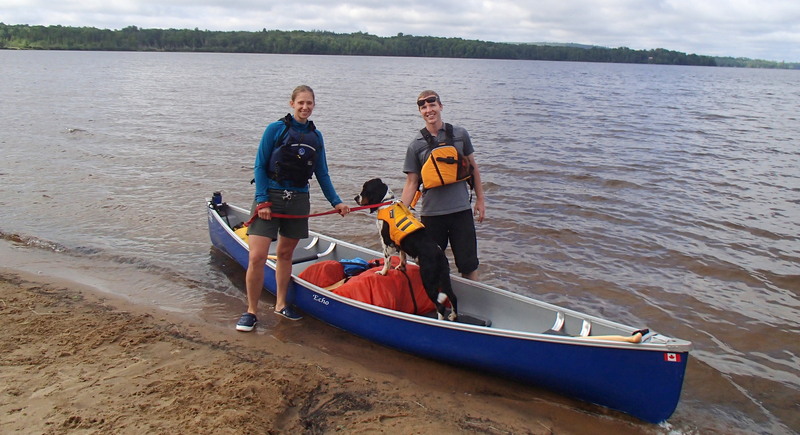 Circuit 11 is described as perfect for beginners and besides a couple of large lake crossings which could be difficult in stormy weather, it really was ideal for a couple of newbie canoe campers like us. 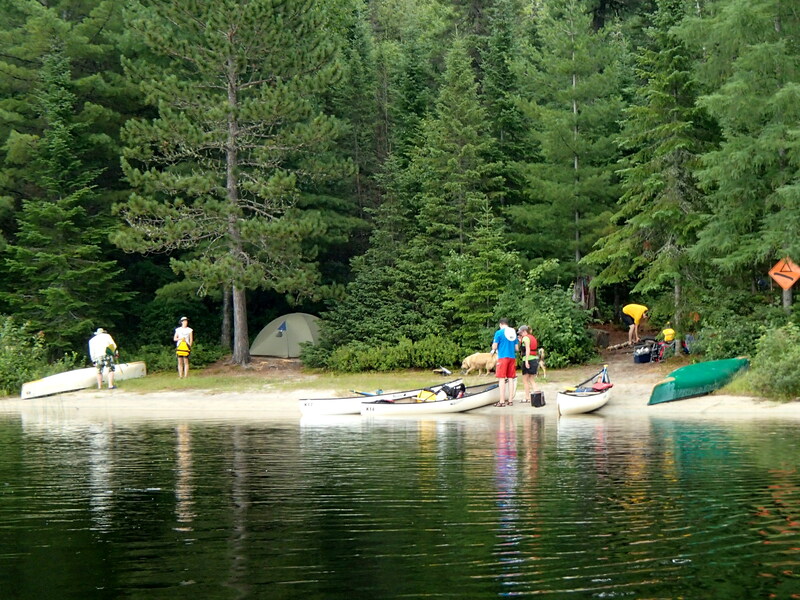 The put in is at Le Domaine which has parking, camping sites, a store and friendly office staff. 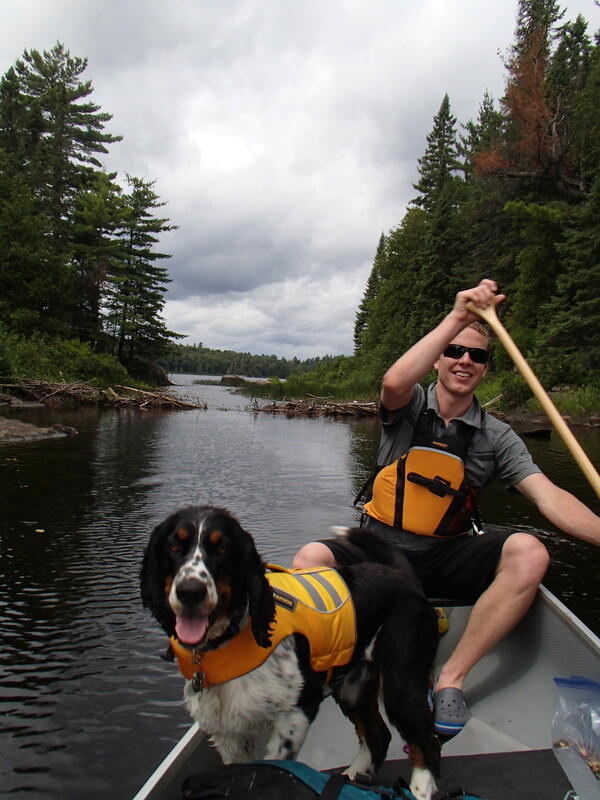 Over the next 3 days we canoed clockwise around the 34km circuit past dozens of large and little islands, through deep lakes and extremely shallow passageways-usually the handiwork of a beaver and their dam. There are four portages on this route, the longest being 330m of well maintained trails. Each one came as a bit of a welcome relief-a chance to stretch our legs, eat something more substantial than nuts and raisins and cool ourselves off with a swim. 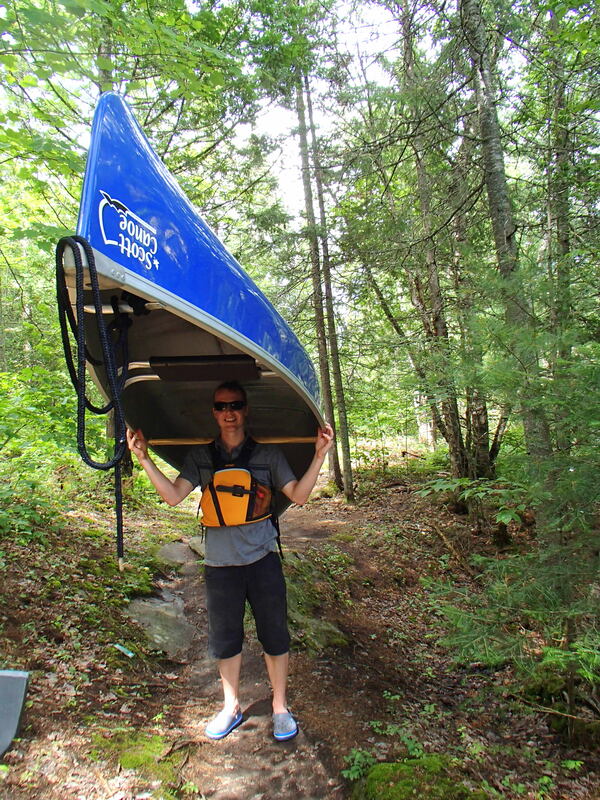 Portaging: One carries the canoe; the other carries as much as the back and the hands can hold. As a group of 10 we were able to reserve a private group campsite. Both nights we were treated to well maintained sites with enough cleared spots for at least 6-7 tents, a fire spot and a large blue barrel dug firmly into the ground about 100m from the nearest tent to keep all the bodily waste happily in one spot. The very best part, though, of having our own private areas, were the beaches. We swam, the dogs (all 5 of them in the group!) played in the sand and we spent the evenings watching the magnificent sunsets over the water. 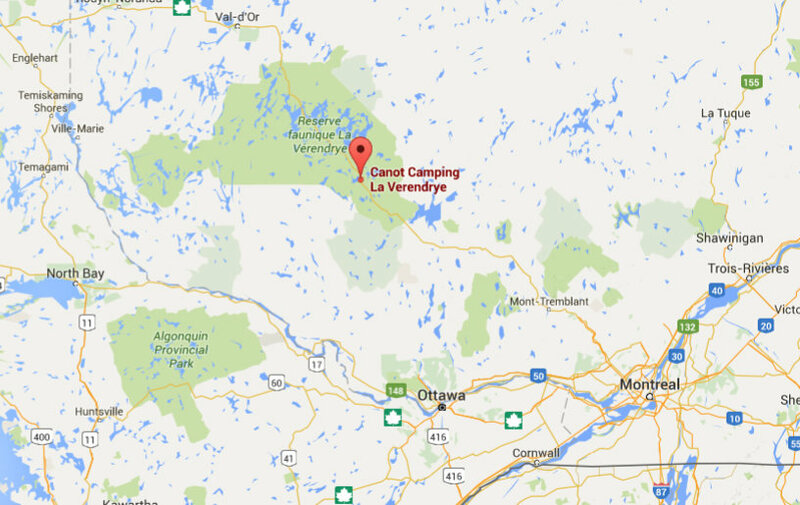 This entry was posted in Camping, Canoe Tripping and tagged Canoe camping, La Verendrye, Quebec. Bookmark the permalink.